Just 16 percent of sales leaders believe they have the talent needed to succeed, but very few companies are doing anything about it, according to a recent report from CSO Insights. When asked how they have changed their hiring profiles in the past 12 months, the No. 1 response was “no changes.” That itself needs to change, as do the post-hiring activities at most companies, to ensure the proper sales talent needed is in place, the report concludes. Hiring profiles have remained the same because executives have clung to “more concrete, traditional things” that are “easy to identify on a resume and easy to validate in an interview,” explains Seleste Lunsford, managing director of CSO Insights. On their wish lists for new employees, they look for people with sales experience who have actually sold in their specific industry before, and who have business degrees. Then when it comes to the interview, they rely on gut instincts to evaluate things like interpersonal skills. But when you figure out what makes people successful, “it generally has very little to do with experience. And although interpersonal skills are important, they’re not as differentiating between top performers and low performers. Your low performers usually have pretty good interpersonal skills, too. The things that are different between the top and the bottom tend to be things like learning agility or how comfortable they are with technology, do they have analytical skills, are they good problem solvers,” Lunsford suggests. With an eye on this rift in predicting performance, the report found that organizations consistently using hiring tools outperform their peers. It also found that having a tool and not using it consistently correlates with lower performance than not having a tool at all. More specifically, the report found that 60.3 percent of organizations using a hiring tool are successful at quota attainment (compared to 49.5 percent that have a tool but do not consistently use it and 53.1 percent that do not have a tool); 25.7 percent of organizations using a hiring tool reported being confident in their talent (compared to 11.1 percent that have a tool but do not consistently use it and 18 percent that do not have a tool); and 14.6 percent of organizations using a hiring tool reported attrition (compared to 19.8 percent that have a tool but do not consistently use it and 15.7 percent that do not have a tool). Nevertheless, only 68.9 percent of organizations have a hiring tool. Of those, 30.6 percent have one and consistently use it, and 24.9 percent have one but do not consistently use it. An additional 13.4 percent do not have one, but plan to use one within the next 12 months. The report lays out a number of guidelines for effectively leveraging a hiring tool. Sales organizations should use quantifiable sources to properly define their ideal hiring profiles, such as data from their current sales forces (high performers they wish to replicate) and industry standards. They also need to determine where in the hiring process they want to deploy the tool and then use the output for subsequent steps, like crafting interview questions. Managers need to agree on how output from the tool will be factored into hiring decision. Furthermore, the tool should be refined over time as more data is collected so that the organization can alter traits as necessary. Finally, organizations need to ensure that their hiring profiles meet labor law and other requirements. 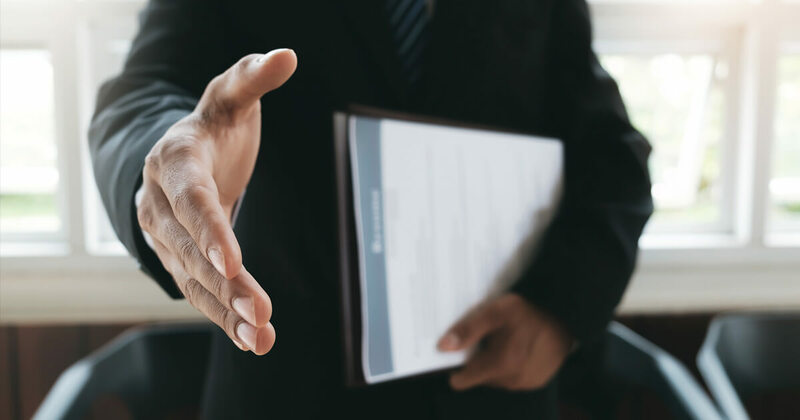 Process reforms need to extend beyond when the job offer is made and accepted, with the report suggesting that post-hiring activities are essential to the success of sales forces. Sales enablement, which is responsible for orchestrating the content, coaching, and training that sales reps need to be successful, is crucial, it says. Organizations confident in the enablement they provide their sales forces have lower voluntary turnover than those who were weak in enablement—7.1 percent compared to 11.5 percent. “Just like in every other part of the sales world, where you’re starting to use data and analytics and those types of tools, you can use them on the talent side as well. You’d be using data-driven tools to do the hiring assessment…and then that data is going to follow [the sales rep] throughout her life cycle in my organization so I know exactly how to coach her, what to focus on in the on-boarding, what’s going to motivate her—or at least create an environment where she’s likely to be self-motivated. I can use that as an integrated talent strategy,” Lunsford says.